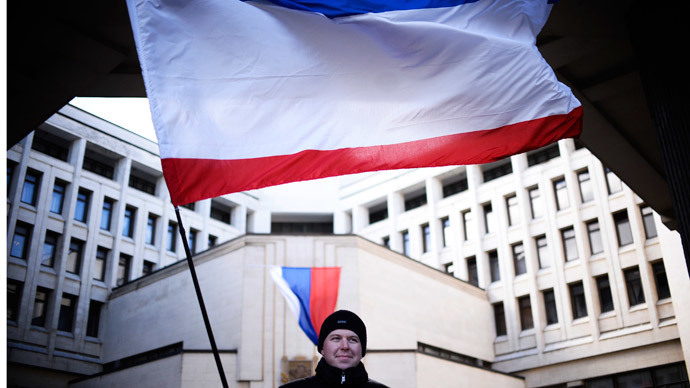 The State Duma has voted to ratify the acceptance of the Republic of Crimea and the city of Sevastopol as new parts of the Russian Federation. Of 446 lower house MPs 443 voted in favor of the treaty and one voted against it. There were no abstentions. 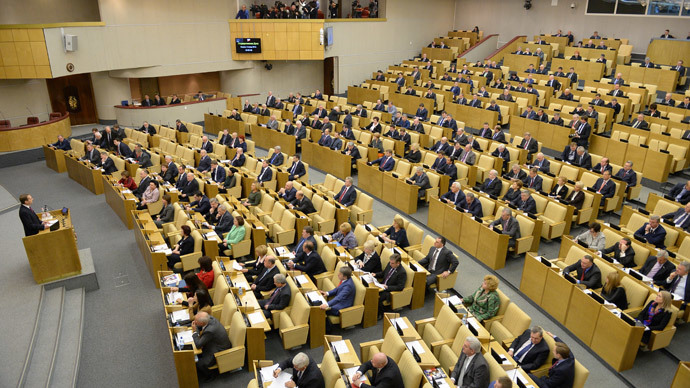 During the same session the State Duma passed the constitutional law detailing the conditions and order of accepting the two new subjects into the Russian Federation. 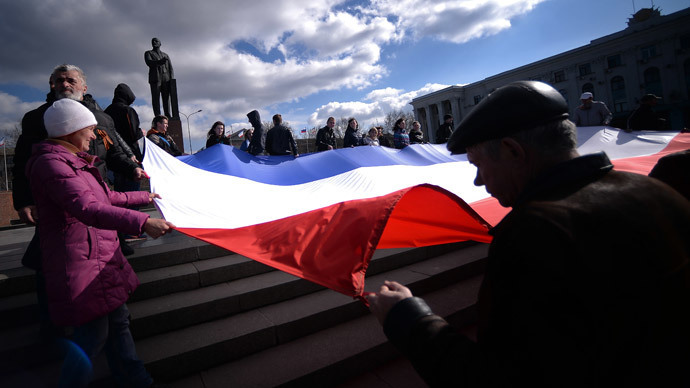 The federation treaty was submitted to the Lower House by President Putin on Wednesday after he signed it with leading Crimean and Sevastopol officials on Tuesday. The treaty has been provisionally in use since the signing and will come into force after ratification by the parliament. Foreign Minister Sergey Lavrov presented the draft to MPs and asked for ratification on behalf of the President. 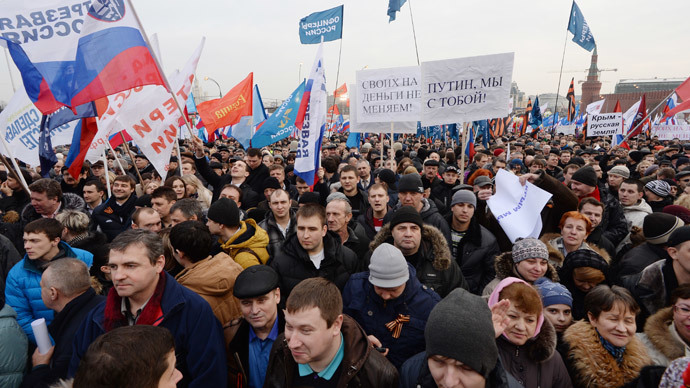 “The decision to accept the Republic of Crimea into the Russian Federation is based on the free expression of the will of the multi-ethnic people of Crimea made in the referendum on March 16 this year. This decision corresponds to international law including the principle of sovereign equality of the state and the people’s right for self-determination, fixed in the UN charter as one of the main objectives of this organization,” Lavrov told the State Duma. The draft introduces a transitional period until January 1, 2015 during which Crimea and Sevastopol must be integrated into Russia’s economic, finance, credit and legal systems as well as into the system of state administration. 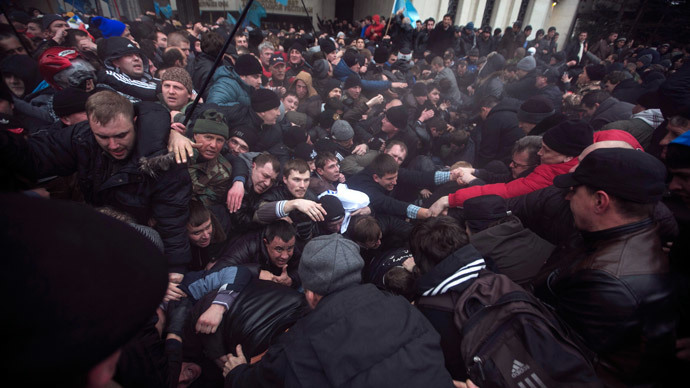 The treaty also provides that all residents of Crimea will automatically receive Russian citizenship. It also allows those who would prefer to keep their Ukrainian citizenship do so through notifying officials within one month of the treaty coming into force. Earlier this week Putin addressed the Russian parliament with a speech in which he pledged full support to Crimeans and praised their decision to return to Russia after about 60 years of separation. He also asked Russian parliamentarians to ratify the accession treaty as fast as possible. The Upper House of the Russian Parliament – the Federation Council – is scheduled to vote on the Russia-Crimea union treaty on Friday.